Last week I presented a detailed explanation of the uiinspect utility, which displays a GUI listing all the properties, callbacks and internal methods of an inspected object. Something like Matlab’s inspect tool on steroids. I explained that uiinspect uses com.mathworks.mlwidgets.inspector.PropertyView, which in turn uses JIDE’s PropertyTable. PropertyView automatically extracts the inspected object’s properties and displays them using a corresponding renderer in the PropertyTable. We often need to present a non-object Matlab construct. For example, it is very common to store an application’s configuration properties in a struct (using Matlab objects is often impractical and unwarranted) — it would be very useful to present this configuration dynamically, without having to programmatically scan all struct fields and build a dedicated GUI table. Unfortunately, PropertyView cannot automatically retrospect Matlab structs, which is the reason that the built-in inspect function fails for such objects. In the general case, we may wish to present a PropertyTable using row-specific renderers and editors, when we have such an un-inspectable object (struct, cell array etc. ), or even for a dynamically-created table of properties that is not stored in any single object. Another limitation of PropertyView is that it immediately assigns updated property values to the inspected object, without allowing any sanity checks to be conducted on the new values, and without enabling the user to cancel property changes. Last but not least, PropertyView does not enable users to easily modify the way that certain properties are presented. Boolean properties (true/false) always use a checkbox cell-renderer/editor, while we may wish to display a string (on/off) or combo-box instead. In short, PropertyView is great unless you want to customize stuff, or do something slightly out-of-the-ordinary. Enter propertiesGUI, the subject of today’s article. propertiesGUI, which can be downloaded from the Matlab File Exchange, presents a generic solution to this problem. propertiesGUI is based on Levente Hunyadi’s articles here back in 2010, and on his “Property grid” utility on the File Exchange. hParent (input) is an optional handle of a parent GUI container (figure/uipanel/uitab) in which the properties table will appear. If missing or empty or 0, the table will be shown in a new modal dialog window; otherwise it will be embedded in the parent container. parameters (input) is an optional struct or object with data fields. The fields are processed separately to determine their corresponding cell renderer and editor. If parameters is not specified, then the global test_data will be used. If test_data is also empty, then a demo of several different data types will be used. hPropsPane (output) is the handle of the generated properties panel widget, which can be customized to display field descriptions, toolbar, etc. parameters (output) is the resulting (possibly-updated) parameters struct. Naturally, this is only relevant in case of a modal dialog. When passing the properties in an input parameters struct, propertiesGUI automatically inspects each struct field and assigns a corresponding cell-editor with no description and a field label that reflects the field name. The properties are automatically set as modifiable (editable) and assigned a default callback function (propUpdatedCallback sub-function). The global test_data variable is updated internally when the <OK> button is clicked. It is meant to enable easy data passing between the properties GUI and other application component. Using global vars is generally discouraged as bad programming, but it simplifies GUI component interaction and has performance advantages. In this specific case I decided that the benefits of simplicity outweigh the pedagogical aspects. After all, propertiesGUI is meant to illustrate how to customize/use a properties pane, not to teach GUI programming best practices. In your real-world application you should consider using other information-sharing mechanisms (getappdata or guidata, for example). propertiesGUI is meant to be used either as stand-alone, or as a template for customization. For example, we can attach a unique description to each property that will be shown in an internal sub-panel: see the customizePropertyPane and preparePropsList sub-functions. We can have specific control over each property’s description, label, editability, cell-editor and callback function. See the preparePropsList sub-functions for some examples. Additional cell-editors/renderers can be added in the newProperty sub-function. So if we wish to check the validity of the input or user updates, we simply need to enter the relevant checks into checkProp. Additional control over the appearance and functionality can be achieved via the hPropsPane reference that is returned by propertiesGUI. Do you find propertiesGUI useful in your work? If so then please share your experience in a comment below. Suggestions for improvement of the utility will also be gladly accepted. a message box appears with “unauthorized use of JIDE products” and consequetly “please contact sales@jide.com“. The same messagebox is displayed in the deployed application. Am I doing something wrong? Or, which package from JIDE would you suggest. @Andrea – try calling com.mathworks.mwswing.MJUtilities.initJIDE before your call to propertiesGUI. I think this should be enough – let us know. No problems when compiling with R2011a. So it seems hgjavacomponents aren’t the original instantiation, otherwise I’d be able to (with my button) add another Property to the the Properties array in the PropertyTableModel object and see the Pane update automatically… is that right? @Nick – after you update the PropertyTableModel you need to refresh the actual data table. grid.update() should do the trick. To get the reference to grid in external code, simply modify line #1 of propertiesGUI.m to also return the grid variable. Looked at doing it with inline anonymous functions and it’s just messier than it’s worth in my opinion. which could of course be wrapped in a separate function for convenience. The documentation of the setfield function (which can do even more) is a bit confusing on first sight, so maybe it is not instantly obvious that it can be used to create a nested struct. Equally, getfield provides easy access to values of nested structs. I am struggling for a while with an efficient retrieving of dynamic changing substructures from a string. According to my measurements, classical for loop combined with regexp is the fastest one. However, regexp seems to be a big bottleneck in this case. Elapsed time is 0.036253 seconds. Elapsed time is 0.031294 seconds. Elapsed time is 0.046321 seconds. Elapsed time is 0.018785 seconds. so getfield is the slowest option here and classical “sub-looping” the fastest. Nevertheless, a faster replacement for regexp (since I am running version without strsplit) would be definitely nice. window on the GUI front in a scrolling fashion? returned value to be displayed to the GUI front)? do you know a way to set a file filter when using a file type with com.jidesoft.grid.FileCellEditor? I would like for example to browse only for ‘*.exe’ files. No constructor 'javax.swing.SpinnerNumberModel' with matching signature found. @Kai – I assume that you are running Matlab without Java (probably some limited console mode or something like that). propertiesGUI uses Java components and so cannot possibly run in such circumstances. The error was the class_object_property example: matlab.desktop.editor.getActive. In my case it was a “1×0 Document array with properties…”. The editor must be open for it to work. then this is odd because as you can see in the code, the matlab.desktop.editor. * calls are placed within try-catch blocks. Perhaps you mis-diagnosed the problem? I can confirm that this problem holds. Tested in R2012b & R2014a. The error message arises from calling propertiesGUI with no arguments (in “demo mode”). If I supply a MATLAB structure as an argument, it seems to work fine. this is a very useful submission. But wouldn’t it be better if this was written in OOP, so one could easily overload a function (e.g. a callback)? If I got this right, I would have to make a copy of the function for every (different) purpose. Actually, it should be not a big thing to turn it into an object, right? 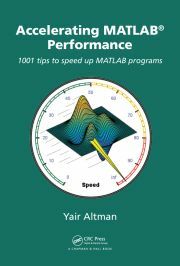 @Jan – when I provide public utilities that are expected to work on old Matlab releases, before Matlab classes in their new format were introduced in R2008a, I have no option but to use standard procedural programming. This does not reflect bad programming practices or the inability to adapt to modern times, just a conscious decision to support multiple Matlab versions. I wish that other programmers were as conscious of backward compatibility as I try to be. Feel free to adapt the code as you see fit, if you only use a new Matlab release and none of your users use an old release. Ah, okay. I was not aware of that as I work on 2012b. This explains a lot! @Rainer – it’s good to hear from you again and thanks for the update! very good work! keep it up! Actually I find it very useful to have a CellEditor for numeric matrix or for mixed-type table-data (cell-array). Therefor I would like to use your app “Java-based data table” (http://www.mathworks.com/matlabcentral/fileexchange/14225-java-based-data-table), that is very useful for table-data! But how can I link this Table-GUI-widget to the propertiesGUI? As I have read, we have to create a custom CellEditor that inherits from a JIDE CellEditor? Can you give me some information how to start with that? Or are there any built-in CellEditors that can do this? @MI – I will be very happy to help you integrate sophisticated table controls in your Matlab GUI, for a consulting fee. Please contact me via email (altmany at gmail). The result: the first row, which should be an editable dropdown with choice ‘A’, ‘B’, or ‘C’ is now just a text box, and there’s no dropdown. Also, some questions regarding using dates: is there a way to set a date property to empty? I’d like the box to be empty until the user fills it in the first time. Secondly, when you fill the date box you get something like “Aug 19, 2015”, but when the date selector is opened the format is dd/MM/yyyy. (I figured out how to make it yyyy-MM-dd for my own use). How do I switch the “Aug 19, 2015” view to “2015-08-19”? I’m using MATLAB R2014b. Thanks a lot! This is an overall excellent function to use. Is is possible to call Tow other GUI in a main GUI in the main window without opening a new window ? My means is that i want to merge some different GUI in a main GUI with one window. Arash Marashian (12 days 5 hours ago): Problem Solved. I found out that my version does not have this icon. thanks. Marshall (13 days 8 hours ago): This was a fun puzzle–don’t hesitate to add more posts like these if you come across some other fun ones! GGa (15 days 8 hours ago): There isn’t anything “outside the UTF-8 range”. UTF-8 can represent any Unicode character, as far as I know.